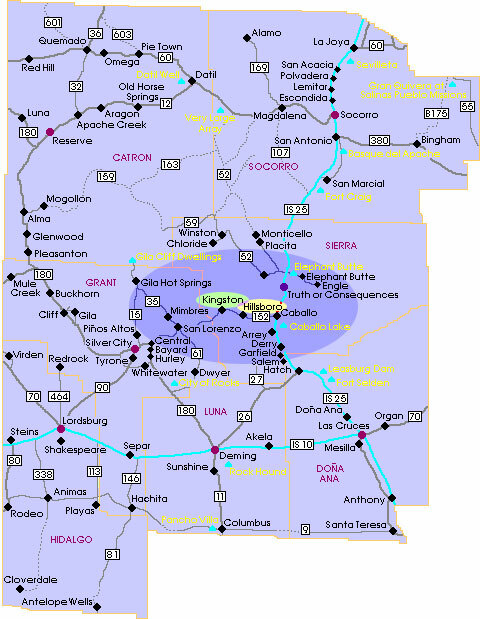 Hillsboro is in southwestern New Mexico, on Highway 152, about 17 miles west of I-25, exit 63. Kingston is 9 miles west of Hillsboro. The entrance of the village is right past the mile marker 40. If you see the big brown sign "Welcome to the Gila National Forest", you have passed the turn.